In situations that require high security fencing, hydraulic barriers are a great investment for any entry or exit point. 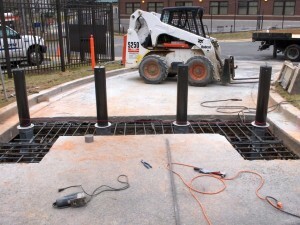 The barriers are stored below the pavement until they are needed to prevent entry or exit, in which case they are raised by a hydraulic mechanism. All of our hydraulic barriers are crash-test-rated so make no mistake, no vehicle will be getting through. 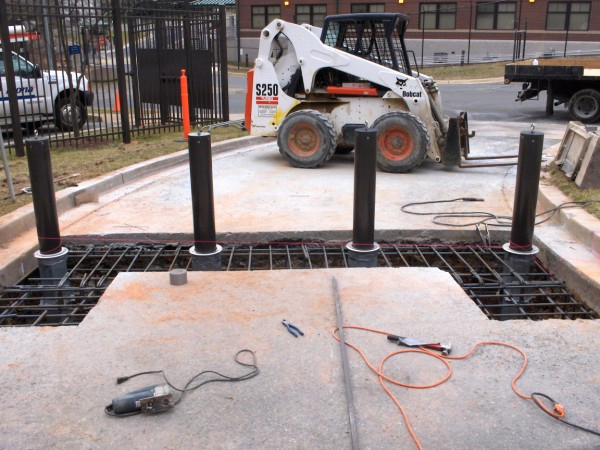 We also offer hydraulic bollards and hydraulic gate operators. If you’re unsure which option works best for your application, talk to one of our specialists. We’d be happy to assist. This entry was posted on Thursday, September 19th, 2013 at 9:37 pm. Both comments and pings are currently closed.